The Celtic Mythology has no unified creation myth. Probably because Celtic People didn’t do notes, they had no writings. 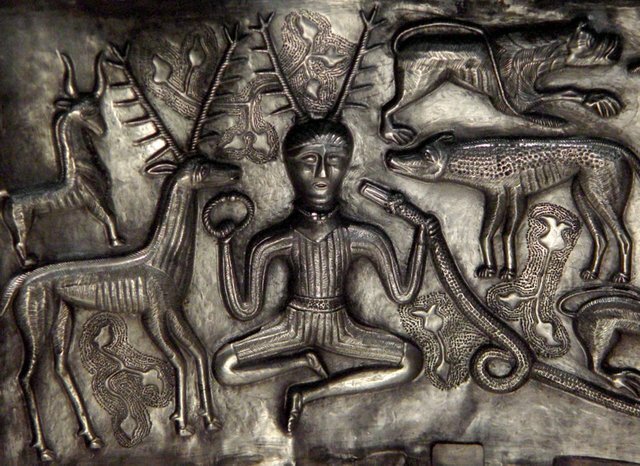 Almost everything we know about the Celtic culture came from Roman writers. So, let’s see one of the Celtic Creation Myths according to different sources. In the beginning, earth and heaven were two great world giants. The heaven lay upon on the earth. The giants were the parents of many offspring. Bright gods who loved the light and dark titans who liked the darkness. The offspring were trapped between the earth and heaven. They and their mother earth were unhappy, because of the overcrowding and the lack of light. They start a counsel against heaven, but one of the bravest sons, a dark titan mutilated and murdered the father. 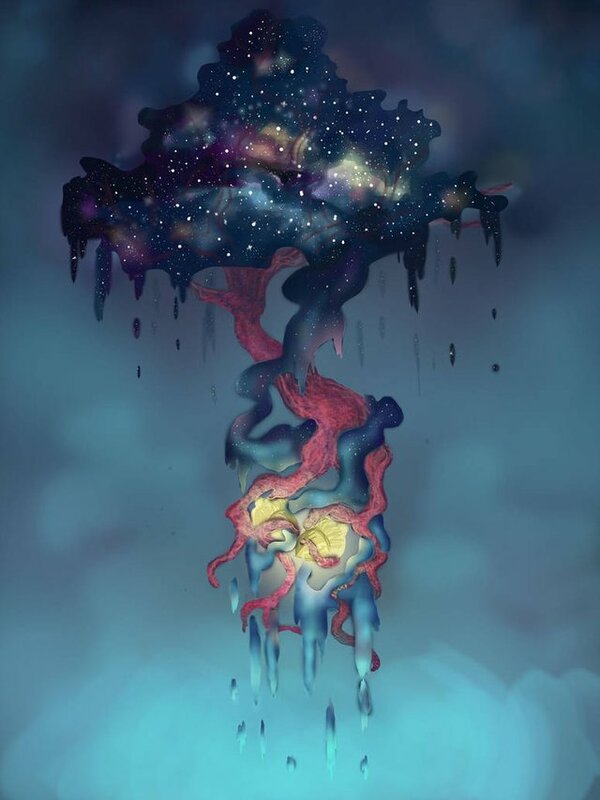 He and his brothers used the father’s skull to create the sky, and the spilling of the blood of his body caused a great flood, which, as it settled in the hollows of the earth, made up the sea. In other types of this story, the mother is Danu(Ana, Anu, Annan). Danu was a fundamental and powerful earth goddess in Irish mythology, but we can’t be sure about anything since there are not much tales about her. Some sources say that she is the husband of the chief god of the Tuatja De Danann race, The Dagda, and she was the mother of the Tuatja De Danann. 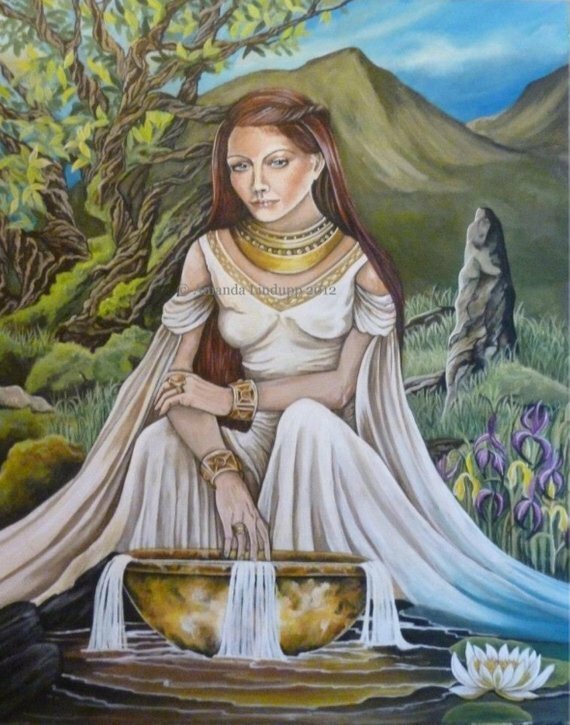 Other sources claim that she was actually the mother of The Dagda, others say that she, and another member of the Tuatja De Danann, Brigid was the same goddess. All we really know about her is that she was a good goddess, she represents nature. She was also associated with wind, wisdom, fertility (like Brigid) and regeneration in nature as an earth-goddess. It’s all confusing because the Celtic religion different in different places. There’re Irish gods, that doesn’t even exist in Scottish mythology. There are gods, who have different names in different Celtic lands. This is why we have more than one Celtic Creation Myth too. There’re similarities and key points in each of them, but still, they’re different. Most of them don’t even include the human creation. The dark titans and the bright gods hated each other. The titan, who killed the father became the king, but the gods did not wish him to rule over them and their abode. So the youngest son, a god, took over the throne from him. The king, beaten in battle, sailed away to other parts of his realm; and after much wandering on the sea, he was, at last, received in the country of the happy departed, whence he was afterward thought to bless the farmer’s toil and to help the man in other ways. The mangling of the world giant caused huge flooding. 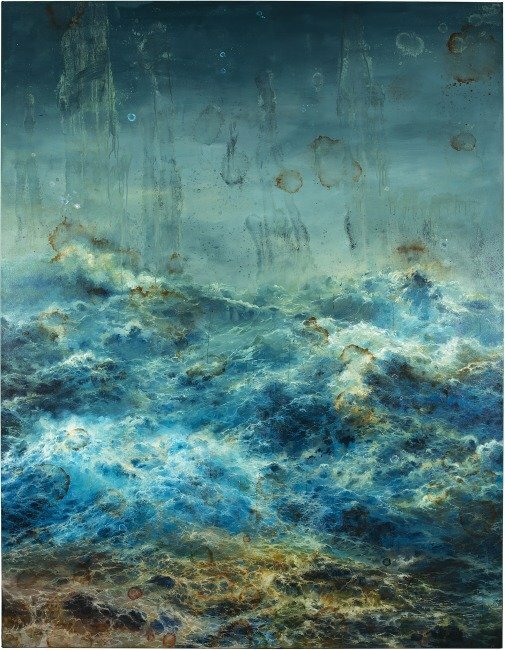 When the Great Flood happened, every men were drowned. Two of them were saved in a ship. The ship was made by a Titan. The Titan after landed the ship in a place where they wanted to live, went to the same place as the dethroned king. For he was of his kith and kin unless perhaps those are to be followed who thought the two were but one and the same person, and that person no other than the ruler of the departed himself, the god of all beginning and all end. Viewed through the medium of the latter, he appeared to be the demon of darkness and horror and death, ever busily adding to the number of his victims; but through the former he was seen to be the first father and great parent of all; so it was ever a matter of piety to reckon darkness before light, the night before the day, and winter before summer. The new king of the Gods was called Bright, Day and Father Sky. He was a mighty warrior, but he had terrible foes that forced him to take part in many fearful struggles. In summer, he was always strong and alive, but in the winter he was ill. On one occasion he was badly wounded, and would never have recovered his former strength and form but for the timely aid of a man who was a cunning leech; and on another, he and the other gods would have been hard beset had they not taken care to secure the help of the Sun-hero. This last was not a god, but the youthful son of a mortal. There was, however, no spearman anywhere to equal him, and his father was so wise and crafty that he had forced the gods to treat mankind far better than they had before been wont to do. For the good things bestowed on man were often begrudged by the gods, and most of all by the owners of the wealth of the nether world and the land of the happy dead. They hated this mortal, so kind to his race, and made him suffer untold pain and torture; but he always succeeded in the end in all that he set his mind on achieving, as when, for example, he cheated them of the dog that was to be the hunter’s friend and servant; also of the other animals he stole from them as likely to be of use to his kindred. It was from the same nether country that he likewise obtained by craft and falsehood the strong drink that was to cheer man, to give him the dreams of poets and the visions of prophets. These and other blessings, too many to name one by one, made him very famous and beloved, more so in some lands than even the king of the gods himself. An another popular Celtic Creation Myth says that in the beginning there was no man and god, only seas and lands. When the lands and seas met, a mare was born. The mare, called Eiocha made the first gods. The gods were bored because they had no one to command to, so they created the first humans from an oak tree. This also can be true, because we know that the Celts respected the trees.